"Learn Spanish Faster" will help you to relax and open pathways to the language center of your brain. Suggestions for deep relaxation and positive change will be received by your subconscious, increasing your relaxation, promoting positive affirmations, and opening your mind to receive new information. Don't wait another day. 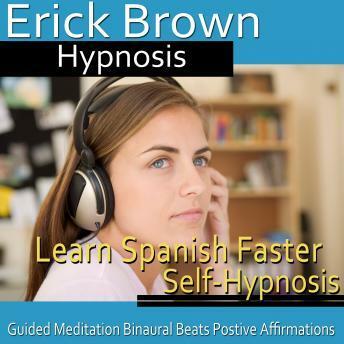 Start learning Spanish faster with Erick Brown Hypnosis!